December 2015 Visa Bulletin | Various Updates - Gateway to Canada | Canada Immigration Consultancy! The year 2015 is almost over. But our mission to provide assistance for those dreaming to have a better quality of life in Canada will continue. We will not give up in doing our best to make your dream to live and work in Canada a reality. The realization of this dream is our mutual objective. For the coming year, you can expect a better quality client experience from Canadian Immigration Consultancy (PIA Corp). Your constructive feedback, suggestions and lessons we learned from our experience for the past years would definitely help us serve you better. Please continue helping us serve you better by sending us your feedback, suggestions and complaints to feedback@gatewaytocanada.com. Canada's immigration programs now prioritize those who are Canada Ready, those who has got Canadian education and work experience. Those with a job offer gets the PR Status faster. Although it is true that applicant may still be awarded a permanent resident visa even without those Canadian credentials, it isn't that easy. If you are currently included in the Express Entry Pool or is in the process of Express Entry Profile submission, taking the Study-Work-Migrate Program will definitely boost your chance. It is easier to find a full time job offer while in Canada and with Canadian education, training and experience. 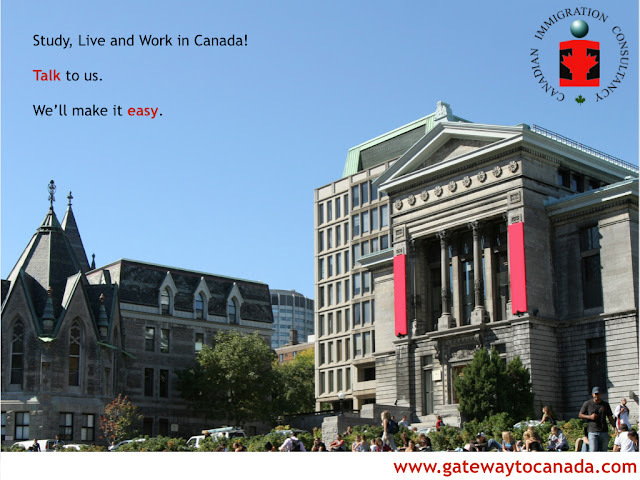 It will be your pathway to become a permanent resident of Canada! If you are interested to Study in Canada, discuss this option with your Agent. Applicants belonging to the above listed occupations were not considered due to a large existing inventory of un-assessed applications, low labor market-demand and or significant barriers to labor market participation. If you are currently in the EOI Pool with score lower than 400 points, you may want to consider the Study-Work-Migrate Program. For the last 3 months, we have noticed several movements of cases being processed at MIDI. Quebec Selection Certificate (CSQ) are being issued mostly without a personal interview. Just last week, a client whose application was filed July 2013 received the CSQ after compliance to the additional documents required from her 2 months ago. Three weeks ago, a client whose application for CSQ was filed Sept 2013 received his CSQ without interview and without additional documents required after filing. If your application was filed October 2013, yours could be next. A limited number of new application for CSQ under the Quebec Skilled Worker Program will be accepted this January 2016. This time, it will be an online application. Your case should be ready for filing by now. If not, please complete your documents immediately. Please also note of the increase in CSQ Fee Effective January 1, 2016. The current office space of Canadian Immigration Consultancy at the SM Mall of Asia will be affected by the mall's ongoing renovation and rezoning activties. 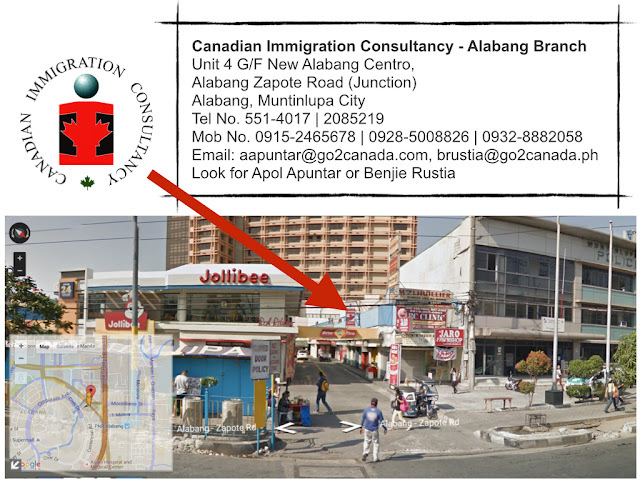 As a result, operations of Canadian Immigration Consultancy Mall of Asia Branch will be shut down effective December 18, 2015. It is not yet certain if and when there will be a new CIC branch at SM Mall of Asia. For the meantime, CIC Mall of Asia Clients may visit other Metro Manila Branches to submit documents, process payments or any transactions related to visa application. Please set an appointment with your Agent before visiting the office.